Thank you so much for shopping with me! When you place an online order you can use the host code. 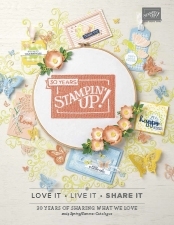 If you haven’t already, create a Stampin’ Up! account via My Online Shop. When you are ready to place your order, at the checkout you’ll see a field that you can enter the Host Code and then check out online. When you place a qualifying order in my online store and use the VIP Host Code, you’ll automatically be added to my “VIP Gift List”. Check back each month for details on that month’s gift and qualifying order amount (as it changes every month). so please check the code before you order. Note that smaller orders may qualify when you place multiple orders throughout the month, using the host code, and they total up to £60 or more. If your order is £150 or more (before delivery) – do not use the host code, instead redeem your Stampin’ Rewards at the time of placing your order. Note that in order for me send you something, you must allow contact. Sadly, I am no longer able to add a host code to an order that you email me. You will find the code on the right had side of my blog. The code does change, so please make sure you have the current one when placing your order that is under £150. HOW DO I USE THE CODE? Visit my online Stampin’ Up! shop (you know it is my shop as my name will be in the top right) and if you haven’t done so already, create an account. Go shopping! Before you check out, click on ‘shopping basket’ and enter the current code into the Host Code box at the bottom, then complete checkout. If your order is more than £150 you earn Stampin’ Rewards from Stampin’ Up! If you are placing an order more than £150, please reward yourself with free products, see below on how much FREE product you can earn. Do you want to share a code and earn rewards? Do you have a group of crafty friends, or run a crafting group? Why not request a personalised code from me. When your friends and family place their orders on my Stampin’ Up! webstore and use your personalised code, you will be rewarded with hostess benefits once the total of the orders reach £150. Contact me for your code. Your friend’s orders will process normally as soon as they are received. Your friend’s orders will ship directly to them at their address. Very convenient! After your hostess code closes you can shop for your Stampin’ Rewards based on a percent of the orders placed using your hostess code. Your personalised code runs for 10 days, giving you the chance to share your link, you can of course run it for a shorter period, just let your friends/family know the cut-off date for orders.